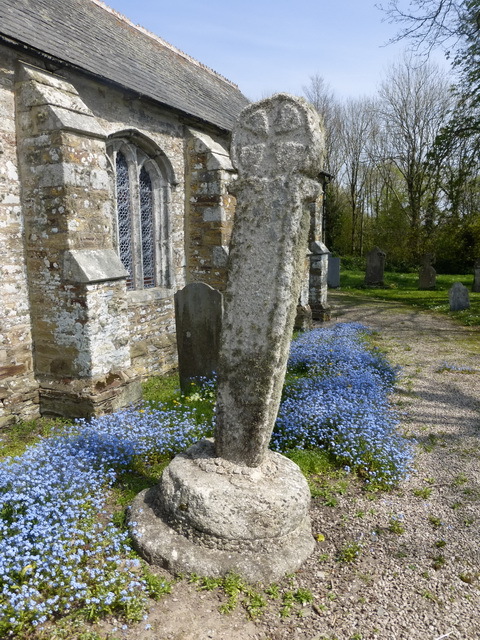 There are three wheel-headed wayside crosses in the churchyard of St Allen church. The tallest is by the south porch and leans at a precarious angle, held up by an original cross-base and an old cider press stone. It was discovered close to its present position in 1928 and erected shortly afterwards. 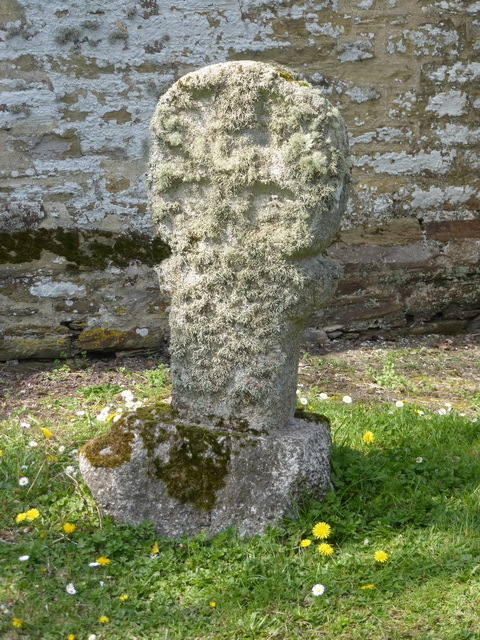 The second was also found in the churchyard in the mid C19 and bears a gothic latin cross on its face. 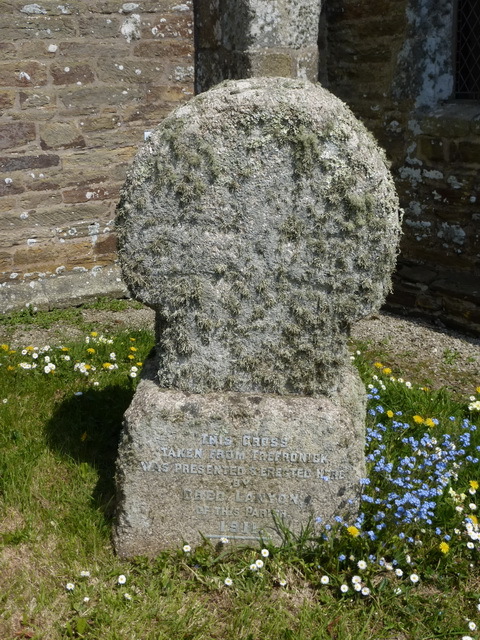 The third is smaller and came from Trefronick, a neighbouring farmstead where it was in use as a door step. Those erecting it here were not shy of their triumph for it bears an inscription announcing its installation. There is a fragment of a fourth – the head of a cross – on the floor inside the church but little is known about this other than the fact that it was found at the same time as the one shown above left.